HANDMADE FILM MAKING IS BACK THIS WEEK! 07 Apr HANDMADE FILM MAKING IS BACK THIS WEEK! My online Handmade Film Making course is back next week. Starting April 11th, we’ll jump into making mini films using just your phone. This 10 day course is all about creating films as quickly and easily as possible… I’ll be encouraging you and sharing tips to shoot video on your phone because it’s the camera we have with us everyday. Then I’ll take you through editing your film together in apps I’ve tried and tested… Your film will be ready to enjoy and share in no time!. As the course is based around my favourite project the Day In The Life film, we’ll be making daily films for a week. Capturing everyday details and ordinary moments to look back on in years to come. People come away from the course with a series of films and a reminder of how beautiful their lives are. 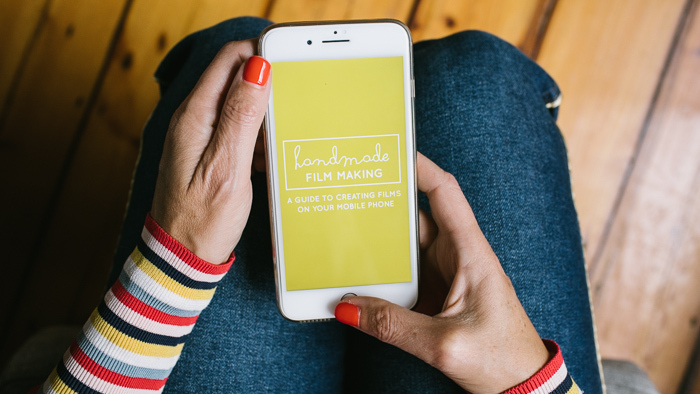 The Handmade Film Making course is a fun challenge… with a commitment to creating daily films, you learn by doing and with each film you make, you get quicker and better at the process.